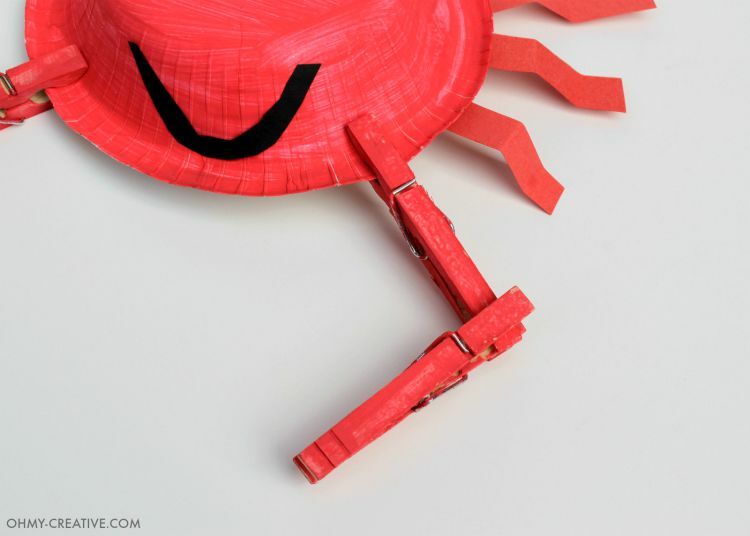 I just love this Crab Kids Craft and so will your little crafters! 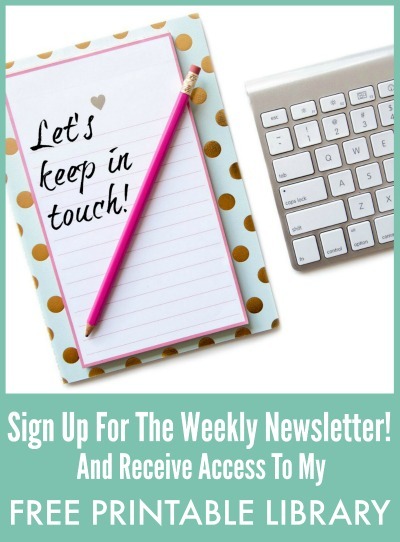 This is a fun summer craft activity for rainy summer days, under the sea parties or maybe an activity while on vacation at. Oops! I just noticed my friendly crab is missing a leg…lol! Those darn sharks..hehe! Paint the clothespins and the paper bowl red. While they dry, cut six red paper strips and fold accordion style for legs and use the black construction paper for the smile. Paint black pupils on the styrofoam balls for the eyes. While they dry poke a small hole off of center in the bottom of the bowl. Fold the pipe cleaner in half and feed it through the hole. Then take each end and insert it into the styrofoam balls. And you have eyes!! Glue paper legs to the underside of the bowl and add the smile to the side. Clamp the clothespins together for each leg and attach to the rim of the bowl. 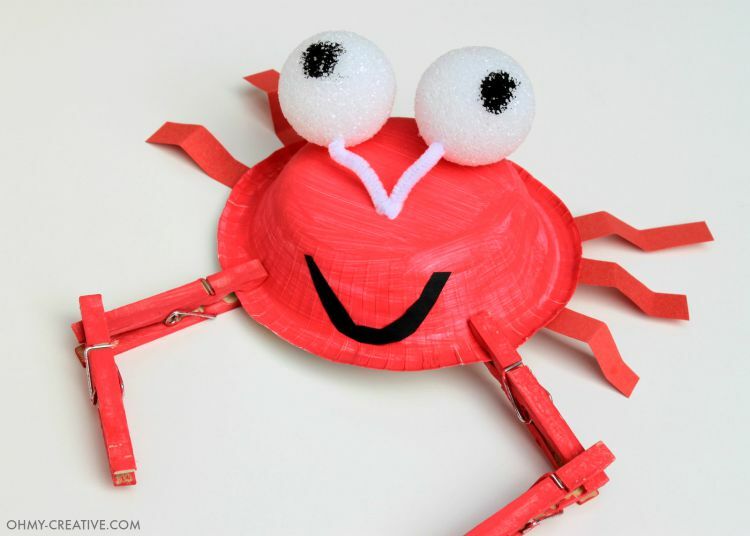 Pretty cute Crab Paper Bowl Kids Craft! 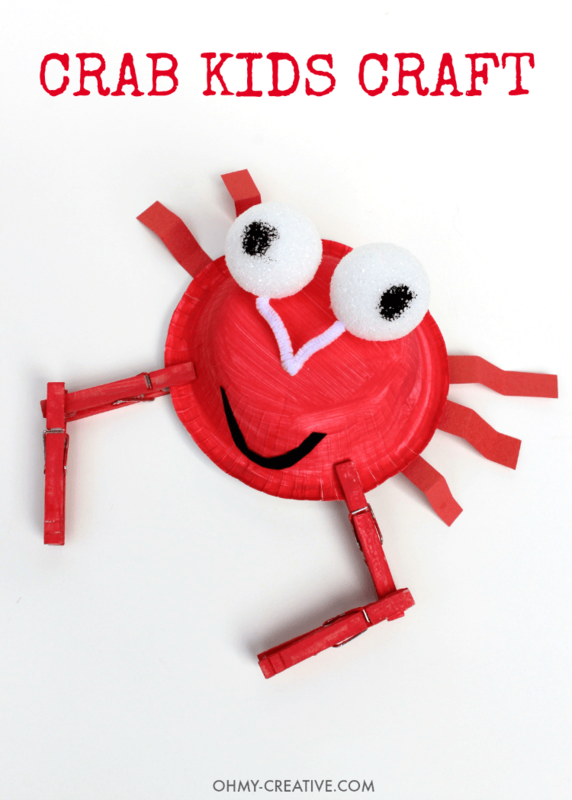 So, will your little crafters love this Crab Kids Craft? 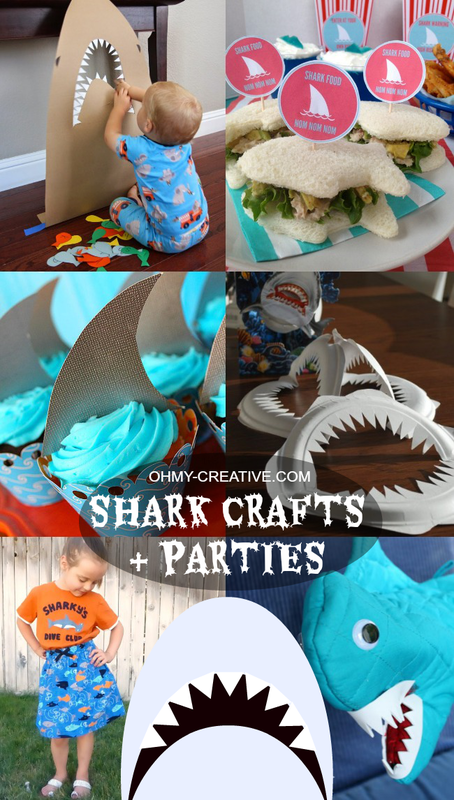 You might also like these Shark Craft and Party Ideas! This is so cute! 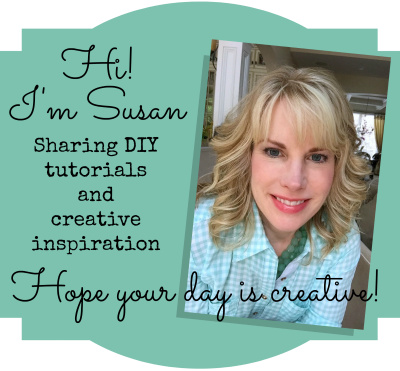 I love paper plate/bowl crafts. I just pinned it. I’m stopping by from Whimsy Wednesday.